The Ambaji Temple is located at Kodiyar Chowk in Danta Taluka, Ambaji of the Banaskantha District of Gujarat. It is one of the popular temples in Gujarat and Goddess Amba is worshipped here. The temple area is huge as it is rightly considered as a must visit religious sight in Gujarat. The enormous Ambaji Temple with marble and gold is itself a big crowd puller. The religious sentiments attached with Ambaji Mata are epic. The temple comprises of only a huge front entrance as the makers of the temple believed that Ambaji forbids another doorway at her abode. The centre court where the religious ceremonies are held is also a beautiful spot. 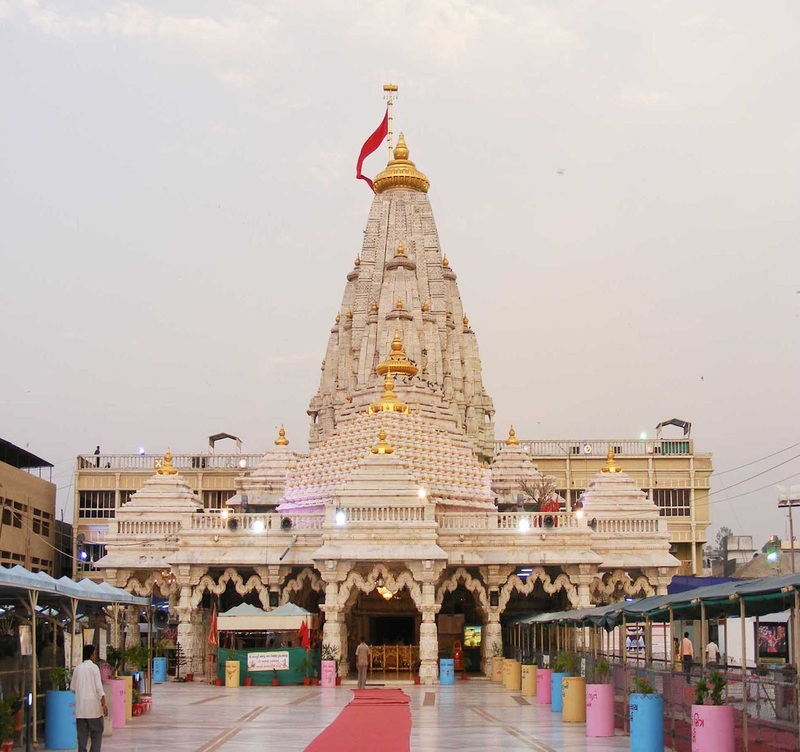 The temple holds no idol of Ambaji Mata as the main point of worship is the Viso Yantra, which is a gold plated inscription from the ancient Vedas. In addition one can also see the Gabbar, where the Goddess was believed to reside and the huge Mansarovar, inside the same vicinity. 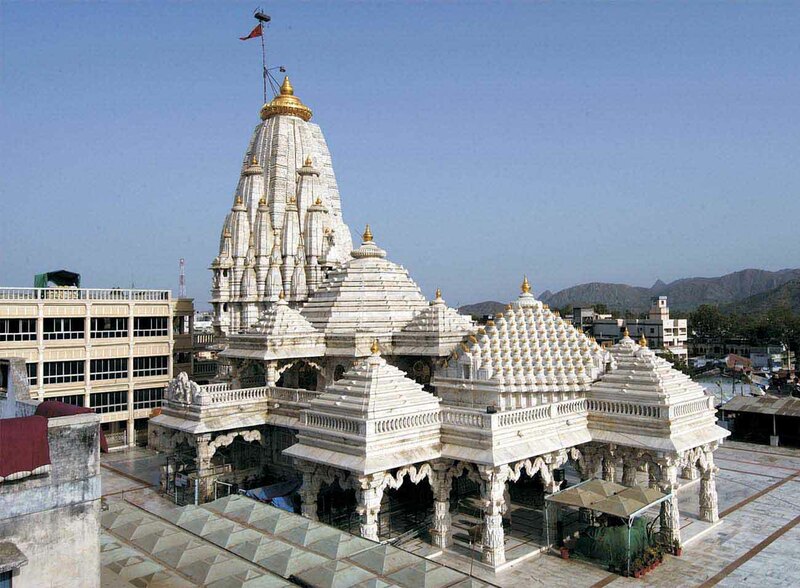 The Ambaji Temple was built by the Nagar Brahmins who were a strong believer of the Goddess. The whole temple chamber is ideal making it a favorite pilgrim destination in Gujarat. The Ambaji Temple is one of the remarkable holy palaces for the religious worshippers. It is home to the Ambaji Mata or Arasuri Amba, as it is known in the native language. Every year the temple built from white marbles see thousands of pilgrims flocking it to pay homage to the divine. The land of Ambaji is well connected to other parts of the state of Gujarat for its reputation and tourist ratio. By road one can travel from private cars from Ahmedabad and Palanpur which is 65 kilometer from here. Direct bus services also facilitate from these places along with Mount Abu which is at a distance of 45 kilometers. The temple is open all around the year with regular havans and religious sacrifices which are a major attraction. The evenings are popular for the aarti and Hindu oriented prayers that are also very fascinating and spiritual to experience. The temple is in no doubt an important travel spot in India as it receives an extraordinary footfall every year. Dharamsaalas and private rest rooms are available for the guests.